When I have brought to my awareness all of the intentions or motives I can think of for my gathering, both good and not so good (showing off, getting even, reliving the past, controlling outcomes, having fun), I can consciously choose to set aside anything that might sabotage my gathering and choose to keep intentions that are in line with who and how I want to be. I like to concentrate particularly on the desire for authentic engagement with my guests. This is the practice of Clarifying Intent. I don't need to know exactly why it works. 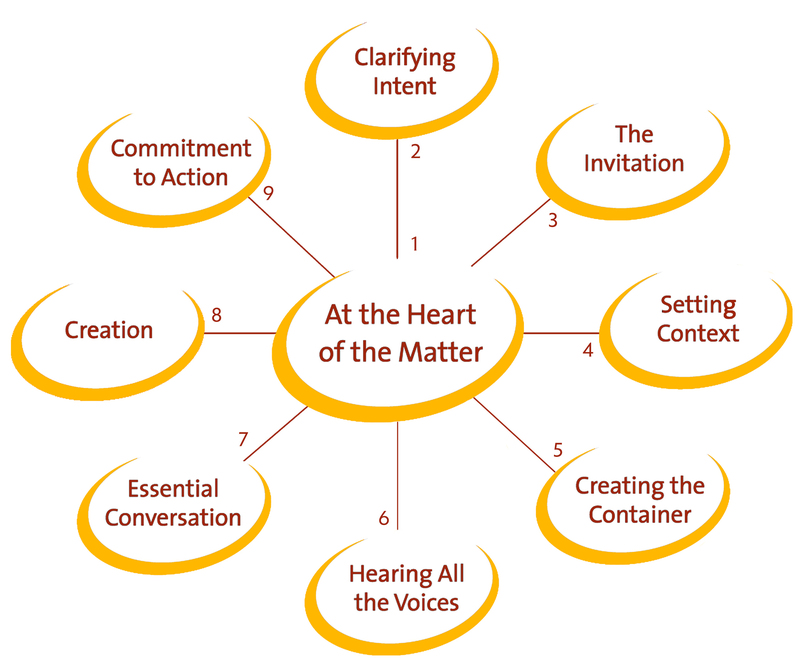 I know from experience that when I do this clarification, making an effort to bring up and consciously set aside anything that may be a distraction from what's important, it makes a difference in me and others in my gathering - intention has substance that is perceived and acted upon. Because Thanksgiving is a tradition, sometimes we invite certain people because we always have or we think we have to. I realize that in order to convey a wholehearted and generous invitation, I need to do more thinking about the value and precious, unique presence of each person I'm inviting. In the midst of an unresolved conflict or disconnection it sometimes doesn't seem possible, but with practice I have learned to acknowledge lingering negative feelings, set them aside for now, and concentrate on the ways in which that person is a gift in my life. When I do this I realize how much I really do want everyone to show up and contribute their presence to our gathering. This is the way I play the inner game of the part of convening called, The Invitation. It goes beyond the invitation itself, into my attitude, appreciation, and conviction that everyone I invite is wanted and needed. As part of the ongoing invitation, a couple of years ago I started making a small paper placename for each person at the table with a little drawing on each one. The practice of making them gives me a chance to refIect on each person and the gifts they bring. I leave the option open for guests to trade places at the table if they'd rather, but having their names there provides another opportunity for sincere welcome. So, as Thanksgiving gets closer, I am taking the time to prepare (play) the inner game of convening. I don't have to buy, store or cook yet. I just think, contemplate, appreciate and communicate sincerely. This is significant groundwork for my gathering. I hope it will result in a way for us to be together in as good a way as we can - and that's what's important to me. Go to "Convening and Thanksgiving = part 2 (of 2)" now. Thank you, Cindy! I too have been preparing, especially the inner game, for this Thanksgiving and inviting in authentic engagement based on the deeper values of what draws us together: unconditional love and appreciation, warmth, laughter, and a sense of unity while respecting the uniqueness of each one gathered.